Like many others, I’m a fan of Ina Garten. Growing up, her mother didn’t want her in the kitchen and she never considered cooking as a profession. 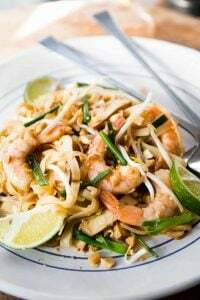 After marrying her husband Jeffrey, though, he suggested she quit her government job and follow her passion, which turned out to be cooking and baking, something she discovered after buying a specialty foods store, even though she had no experience in running a food store…let alone having the experience necessary to cook in quantities that a popular take-out food business required. In the introduction to her latest book, Cooking for Jeffrey, she say that the first year she was in business was “the most difficult year of my life,” which you’d never know when you watch her effortlessly cook her way through a recipe, or entertain friends, on her television show. My introduction to her was through a recipe many years ago in an issue of Martha Stewart magazine for a pitcher of Margaritas. Her recipes were already becoming known to be foolproof and that one was no exception. 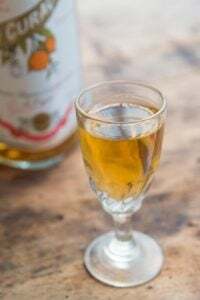 The recipe called for ingredients measured and added by the cupful; tequila, lime juice and orange liqueur. I never made bulk cocktails before and I had to say, they were some of the best margaritas I ever had. I tried to find the recipe for a future fête, but could never find it*. So I’m back to drinking margaritas by the glass, not by the pitcher. Ina, aka, The Barefoot Contessa, went on to become a success on her own, because of her easy-going style and never-fail recipes. I had the good fortune to meet her in Paris once over dinner, and she’s just as nice and funny (and disarming) in person, as she is on television and in her books. Like most people, I just wanted to hang out with her forever. 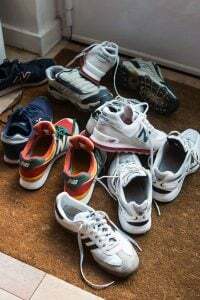 The book is a glimpse of some of her home favorites with stories and tips about why they’ve become part of her repertoire, and what makes each a family favorite. You know when she includes a recipe in a book, it’s a winner. And this one was no exception. 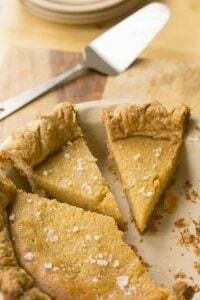 The French aren’t used to desserts made with squash (although in Nice, they eat tourte de blettes made with Swiss chard), but we both dove into this as soon as I unmolded it and pulled out a wedge. Of course, a ring of divine maple syrup caramel sauce around it didn’t hurt. Adapted from Cooking for Jeffrey by Ina GartenSome of you may be wondering about canned pumpkin puree. The canned pumpkin puree you buy is either made of pumpkin or a dense type of squash that resembles pumpkin. It's good for baking as it has less water and fiber than other types of pumpkin or squash. 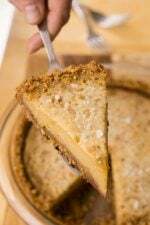 (It's different than canned pumpkin pie filling, which is sweetened and spiced. Don't use that.) It's very convenient but if you want to make your own pumpkin puree, you can find instructions on the internet where to do that, or you probably already know.Two things to look out for: Be sure to cook the syrup to 230ºF (110ºC), and watch it carefully. If you overdo it, add a tablespoon or two of water to lower the temperature and cook it back again to 230ºF (110ºC).The second is that I goofed up with the original quantities of ingredients and used a whole can (about 1 1/2 cups) of pumpkin puree, rather than the 1 cup that was called for. It was delicious (and I didn't have to worry about what to do with 1/2 cup of leftover pumpkin puree...) but it made enough custard to fill my 8-inch (20cm) round pan right to the very top, so some of it sloshed out and was a bit messy to slide in the oven.If you want to use the entire can, I would fill the round pan to about 1/2-inch (1,5 cm) from the top and bake extra custard in a ramekin or custard cup alongside the flan until barely set, and have it for a little baker's snack. 1. 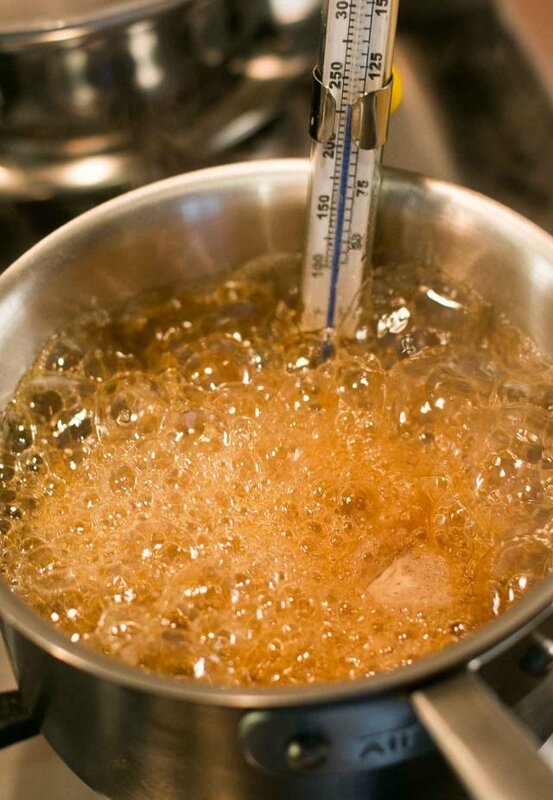 Make the maple caramel by putting the sugar, maple syrup and water in a small, heavy-duty saucepan fitted with a candy thermometer. Cook over medium heat without stirring, although you can swirl the pan to combine the ingredients at the beginning. It's ready when the temperature reaches 230ºF (110ºC). 2. Immediately remove from heat, sprinkle in the flaky sea or kosher salt and pour the caramel into an 8-inch (20cm) cake pan (not a springform pan) that has sides at least 2-inches (5cm) high. (See note at end of recipe for other options.) Let cool for until room temperature, about 30 minutes. 4. Using a stand mixer with the whip attachment, or by hand in a medium-sized bowl using a sturdy whisk, mix together the sweetened condensed milk, evaporated milk, canned pumpkin and mascarpone until smooth. Whisk in the eggs, vanilla extract, cinnamon, allspice, and orange zest. 6. Add very hot tap water to the roasting pan so that it reaches halfway up the outside of the cake pan and bake the custard on the middle rack of the oven until just barely set, about 70 to 75 minutes. When done, it'll be slightly jiggly in the center, but set around the edges. 7. 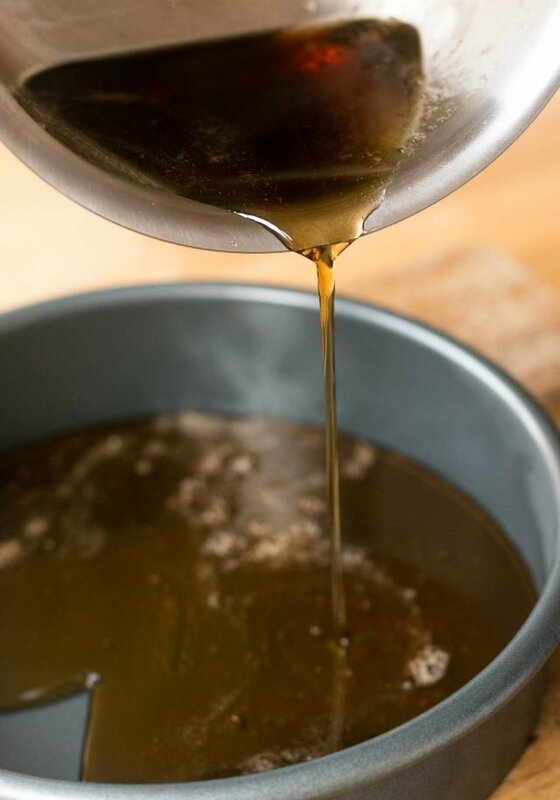 Remove the flan from the water bath and let cool completely on a wire rack, then chill 3-4 hours (or overnight), before serving. 8. To serve, run a sharp knife around the outside of the flan to release it from the sides of the cake pan. Lay a serving platter upside down on top of the flan and using both hands, flip the flan and the serving platter over simultaneously. Holding both the cake pan and platter, shake to release the flan. 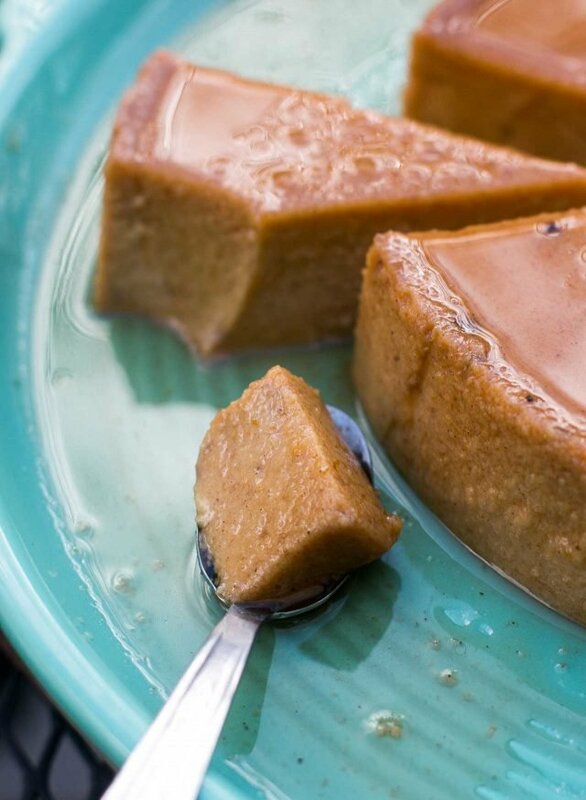 If it doesn't release easily, slip your finger on one side of the flan, near an edge, to break the airlock; you should feel (and hear) the flan release slowly. Don't rush it, but let it release and fall out gently, so it stays together. 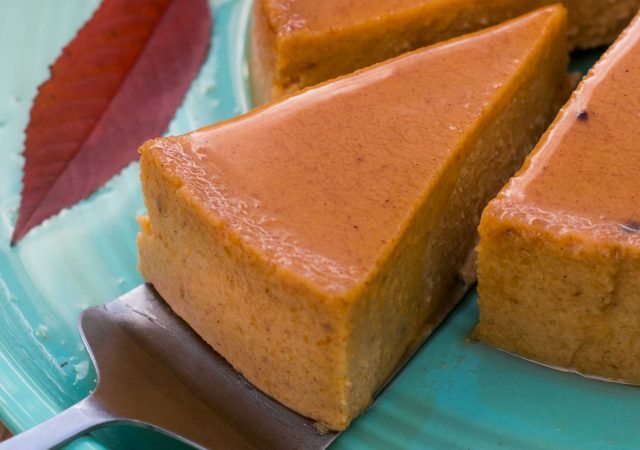 Storage: The pumpkin flan can be made up to three days in advance and kept refrigerated. 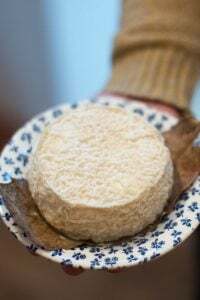 Notes: Sweetened condensed milk in France is called lait condensé sucré (or concentré) and evaporated milk is called lait condensé, sometimes called lait condensé non sucré, and is unsweetened. Maple syrup is available in some supermarkets and natural food stores. For more tips, check out my posts American Baking in Paris and French Sugars. If you don't have an 8-inch (20cm) cake pan, you may be able to make this in an 8-inch square pan or 8-inch porcelain or glass soufflé mold. (Make sure it's heatproof and will withstand the temperature of the hot caramel.) Note that the baking time may vary if using another type of baking mold or dish, so use the visual clues indicated in the recipe to determine doneness. I didn't try it in other types of vessels, but if you do, leave a message in the comments to let us know how it came out. 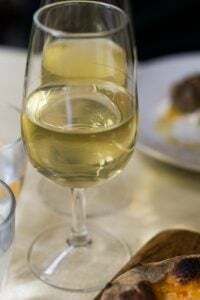 *Thanks to several readers who put links to Ina Garten’s margarita recipe in the comments. I have this recipe from Ina G.
Combine the lime juice, lemon juice, Triple Sec, tequila, and ice in a blender and puree. Place extra ice in a cocktail shaker. Fill with margarita mix, shake well, and strain into glasses. OR mix all liquid ingredients and serve on the rocks ( I prefer this method) with or without salt on the rims. 10 more cocktail recipes from Ina, Ina knows her way around a cocktail shaker! here is the URL to Ina’s margarita recipe via Food Network, I love it too. Also – pumpkin puree is a terrific in stews & chili. Check out the New York Times recipe for Maple Pumpkin Muffins. Made them this morning and they are wonderful. 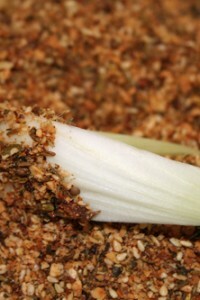 How about making soup of it, by adding some broth and cream as well as your favourite spices? Add some to your smoothie. Pumpkin mashed potatoes are easy to make and good alternative to traditional mashed potatoes. Heather: I included links to some other recipes that call for pumpkin puree on the blog after the recipe. Check out some of those for using your surplus. Taste of France: Thanks. It’s always like writing two different recipes with the metrics and fahrenheit/celsius, etc. – whew! It’s now fixed. Thanks! I love pumpkin, but never much cred for pue crust. This will hit the spot. You were so excited about this recipe, I couldn’t wait to read it. Looks delicious, but too much dairy for me, and I don’t think coconut cream would work. Oh well…. Isn’t 110C too low for the caramel to be cooked? That would just make a syrup which would then infiltrate the custard base when you poured it in.. normally when I make flan I make a darker caramel so it stays firm when the custard is poured in. Am I missing something? Do you think cream cheese could be substituted mascarpone? I made this for Thanksgiving, and substituted whipped cream cheese for unobtanium Mascarpone cheese. It was wonderful.. The fresh pumpkin flavor was complimented by the caramel sauce. individual dessert options for Thanksgiving…thank you (for everything!). This sounds great! Love something you can make ahead. If making two days ahead do I wait to unmold it right befor serving or do that after it has chilled? I wonder if a springform will work if you layer a sheet of baking paper on the bottom and then put the ring on, so that the paper is between ring and outside circle…. David, so great you are including a “print” icon in the recipes lately, thanks!! It might be helpful to point out that this is one of those naturally gluten free recipes! Always helpful to have something like this in your pocket if your Thanksgiving includes a big group with inevitable food issues. Evaporated milk can be a bit hard to track, over here (and even when I find it, it costs considerably more than sweetened condensed milk). Are there any suggestions for substitutions, or should I just wait with this recipe until I can get hold of some evaporated milk? Yael: I haven’t done it but there are instructions here on how to make evaporated milk from whole milk, that you might want to try. The original recipe ( before they edited I guess ) called for 1 1/4 cup of Tequila. Everything was thrown into the blender, except the ice which was added a handful at a time after the ingredients were blended to make sure it was cold and frosty but not watery. It was a life saver as the mix without the ice could be kept in the refrigerator until needed. Does the cake pan have to be greased? This looks delicious, and with your strong recommendation, I am going to try it on Thanksgiving! Does it make a difference whether the cake pan is non-stick or not? I’m always scared of working with hot melted sugar. My flan is baking in the oven as I write…of course I couldn’t resist tasting the uncooked mixture and it was so yummy!! Thank you for a wonderful change from pumpkin pie. I have a feeling this will be a recipe I’ll be making every year! A little pumpkin puree is good for the dog who keeps you company in the kitchen this time of year. Damn you, David Lebovitz. I had dessert all figured out and you had to put this in. And on top of that there’s that little cup that I’m now coveting. Thanks for ruining Thanksgiving. Pitchers of cocktails has become standard in our house LOL A favorite is 2 cups grapefruit juice, 2 cups dark rum (marinate grated ginger for a 10 days and strain for even better taste), 1/4 c agave syrup and 1/4 c lime. Mix together, keep in refrigerator. Pour desired amount into martini glass, top with a few drops of cardamom bitters. But really, just about any drink can be made in quantities and kept on hand. For a dinner party, its a life saver! I’m just about to pop this into the oven. Very excited, thank you (and Ina)! What would you suggest instead of orange zest? Unfortunately I’m allergic to oranges. Made this today. First, I used the correct amounts of everything and there was too much to fit in an 8-inch cake pan: ended up with a ramekin filled as well. Second, the caramel is just a syrup and when inverted there was a flood of syrup. Fortunately I inverted it into something that had high edges, since I suspected that there would be too much “caramel”. The called for temperature of 230F is way too low for a caramel. The taste is excellent, but because of all of the syrup the flan is very messy. In case you are not aware of this shop. How can I turn a whole bunch of actual pumpkin (they did well on the allotment this year) into the puree for this recipe? 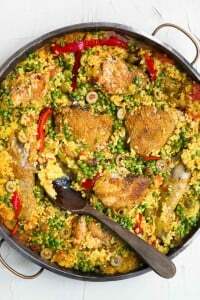 Not related to this post at all, but I wanted to say that I made two of your recipes for our Thanksgiving meal today (the chicken tagine from A Sweet Life in Paris and the German apple and almond cake posted on this blog a few weeks ago) and both were absolutely delicious. We’re new to Thanksgiving having only lived in the US for a few years, so don’t have any of the traditions associated with it; we just love food. Your recipes reliably deliver great flavours every time. Thank you and happy Thanksgiving. I made this in an 8-inch square pan, it worked a treat. Looked lovely and texture was perfect. I used the whole can of pumpkin purée as well so had about a cup of extra filling which I baked in a ramekin on the side. David the flavor was delicious and my caramel turned out perfectly but I have a question regarding the texture. It was not the smooth and creamy texture that I’m used to. It almost had a curdled texture. I wonder if I overcooked it or the water bath was also too hot? I cooked for 70 mins and my oven thermometer registered 350. 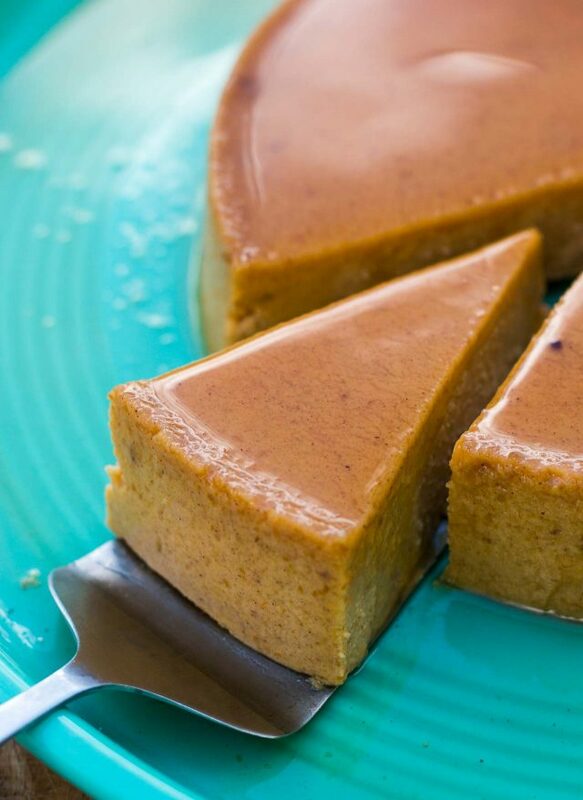 So I made this Pumpkin Maple Flan and it is delicious…thank you. 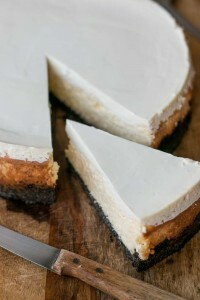 I switched the recipe a bit by using low fat cream cheese, still delicious but it left little specks of cream cheese. A little unsightly but still delicious. I did not use a thermometer but eyed it until the sugar turned amber. With deep gratitude for all you share with us. Blessings and Love. TJ, Brunie: Thanks for letting us know how they turned out using the other type of pan, and the swap out for the mascarpone. Kristy: Usually curdled custards means they were overcooked or there was something acidic added. Mine took 70mns but conditions in ovens vary which is why I include visual/tactile clues to check for doneness, in addition to baking times. Connie: Yes, fresh pumpkin can vary. In France, the potimarrons (kuri squash) are quite good, and rich-tasting, as as butternut squash. I made this over the weekend and it was a huge hit. I had trouble getting the mascarpone to blend with the rest of the custard ingredients (I was mixing mine by hand and the product was cold). Next time I’ll beat the mascarpone alone first so soften it, then add the eggs, then the canned ingredients. I baked mine in a cazuela 8 inches diameter and 2 inches deep, and I needed to remove half a cup of custard to bake in a ramekin. The flan was done in 70 minutes. When I turned the flan out, almost half of the caramel remained behind, crystallized. Might have been a problem with the old thermometer I used. I made this but omitted the orange zest and the mascarpone, as I had neither in the house. My wife, who makes INCREDIBLE flan, said this was the best flan she ever had. btw i used the entire can of pumpkin. Looks fantastic David! Is there a substitute for maple syrup? It’s very difficult to find good maple syrup in India and the good ones are frightfully expensive! You could possibly use mild honey, rice syrup, agave nectar, or Golden syrup, although I haven’t tried any of them. If you do, let us know how they turn out. My flan came out perfectly, but the caramel stuck to the bottom of the pan. What did I do wrong? Caramel by nature, is sticky stuff. So it’s normal that some of the caramel will likely stick to the pan. 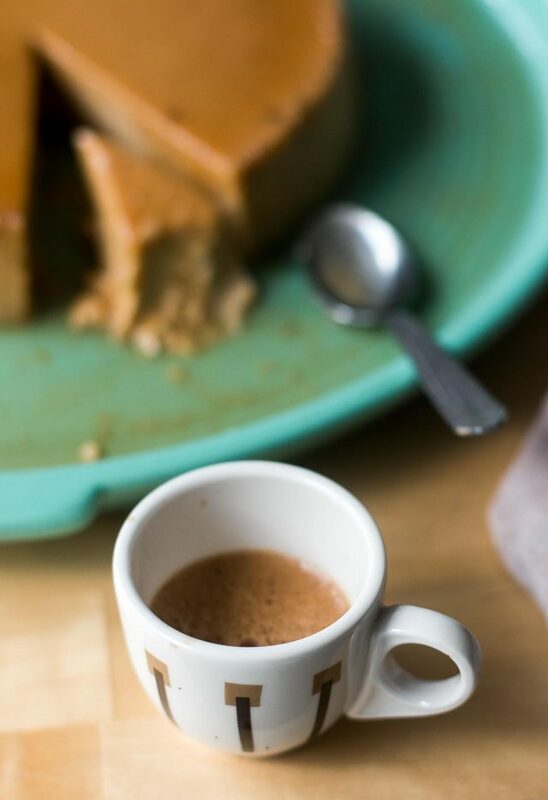 To release it, once you’ve unmolded the flan, very gently warm the pan for a few moments either in a microwave oven over low/medium power, or on the stovetop over the absolute lowest heat possible, to warm and soften it so you can pour it out.